Heather Jensen studied the Japanese language for 8 years, through high school, college, and university, taking up the opportunity to visit the country on a two-week jam-packed school trip where she managed to squeeze in sights as varied as the Temples of Kyoto, ‘Jigoku’ (Hell’s) Hot Springs in Beppu and Tokyo Disneyland. Though her preferred genres are fantasy and historical fiction, Heather writes stories in a wide variety of genres: romance, YA, and contemporary to name a few. Her stories have been published in many different places around the web, including 1000words.org, and Five Stop Story, a UK writing competition where two of her stories received Honorary Mentions. Her story ‘Saviour’ was short-listed in the Ink Tears 2012 Flash Fiction competition. 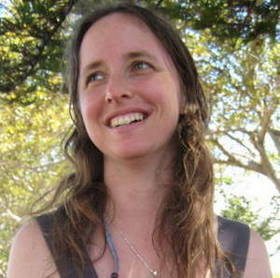 Heather lives in Tasmania, Australia, with her partner and two children. You can find her online at heatherjensenauthor.com or on Facebook. Excerpt: ‘Kitsune’ (Insignia: Japanese Fantasy Stories).